Ben Carver is back to normal. He's working steadily in his classes at the Natick School. He just got elected captain of the baseball team. He's even won a full scholarship to college, if he can keep up his grades. All that foolishness with Rafe Goldberg the past semester is in the past. There's Hannah, the gorgeous girl from the neighboring school, who attracts him and distracts him. There's his mother, whose quiet unhappiness Ben is noticing for the first time. School is harder, the pressure higher, the scholarship almost slipping away. And there's Rafe, funny, kind, dating someone else . . . and maybe the real normal that Ben needs. 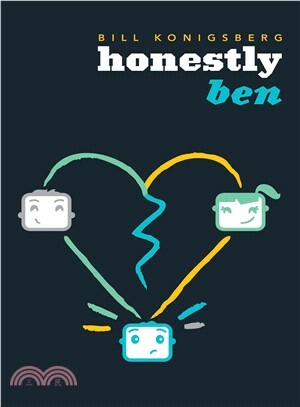 Perfect for fans of David Levithan, Andrew Smith, and John Green, Honestly Ben is a smart, laugh-out-loud novel that will speak to anyone who's struggled to be "honestly ____________" in some part of their lives. Bill Konigsberg is the author of Openly Straight, which won the SCBWI Sid Fleischman Award for Humor and was named to the YALSA Best Fiction for Young Adults list; The Porcupine of Truth, which won the Stonewall Book Award and was named a Booklist Editors' Choice selection; and Out of the Pocket, which won the Lambda Literary Award. Bill lives in Chandler, Arizona, with his husband, Chuck. Please visit him online at billkonigsberg.com and @billkonigsberg.